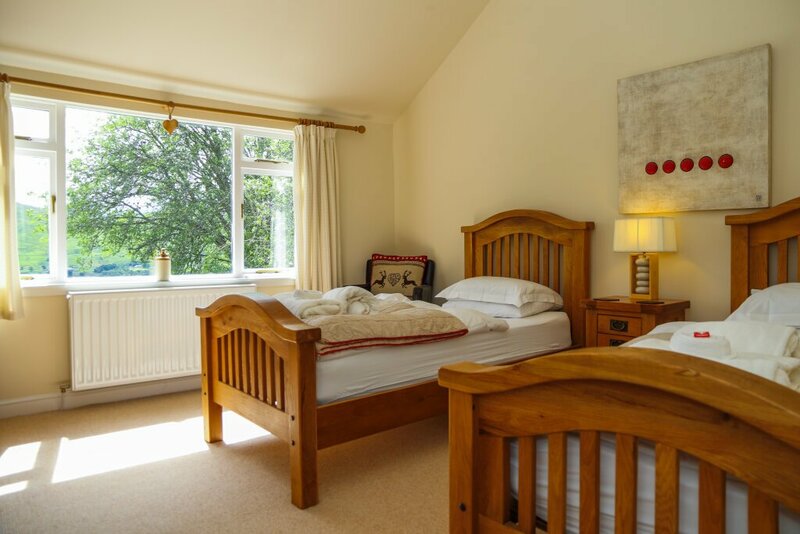 Oak Cottage is a beautiful log cabin with two spacious double ensuite bedrooms (one king, one twin), and a large open plan kitchen, living and dining area. 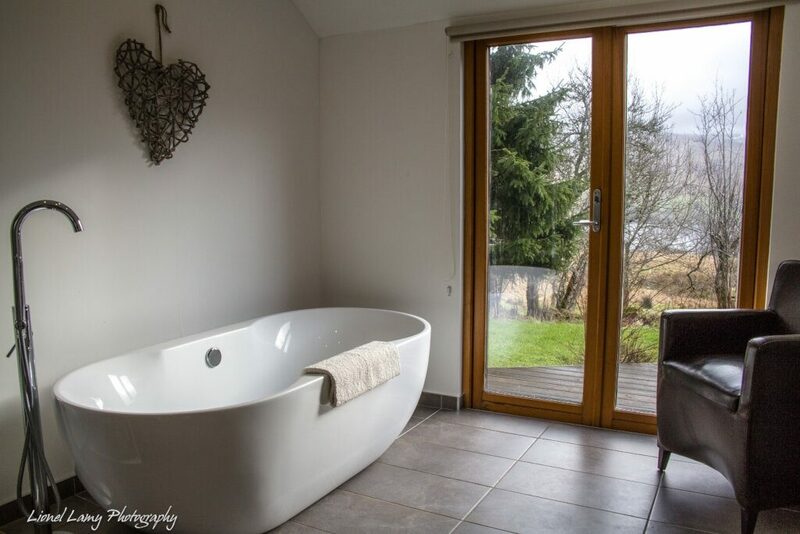 Both bathrooms have walk in power showers and the master bathroom also has a lovely free standing bath tub from where guests can soak in the views of the meadows and Loch Tay. Doors open from the living area and from the master ensuite bathroom onto a spacious decking area for easy access to the private hot tub and where guests can enjoy the idyllic beauty of the estate, with unrivalled views over the loch and surrounding meadows. 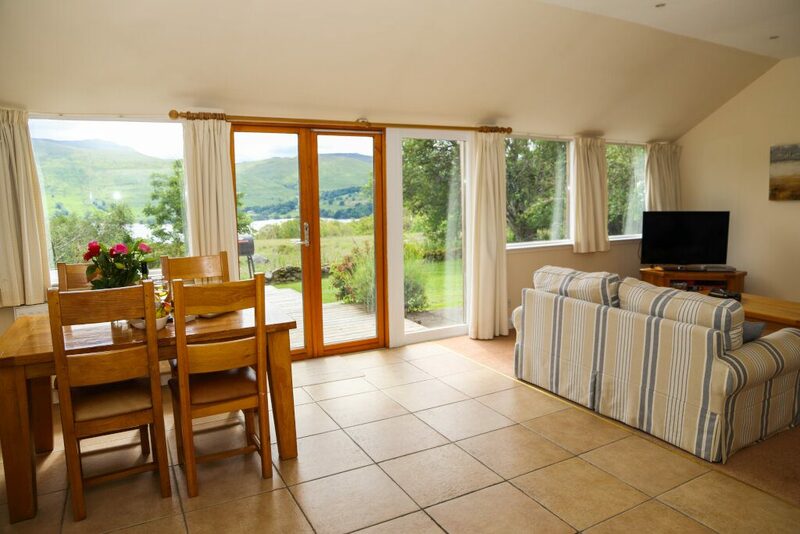 Located on the shores of Loch Tay Oak Cottage is well placed to explore all the villages and landmarks of Loch Tay and beyond. 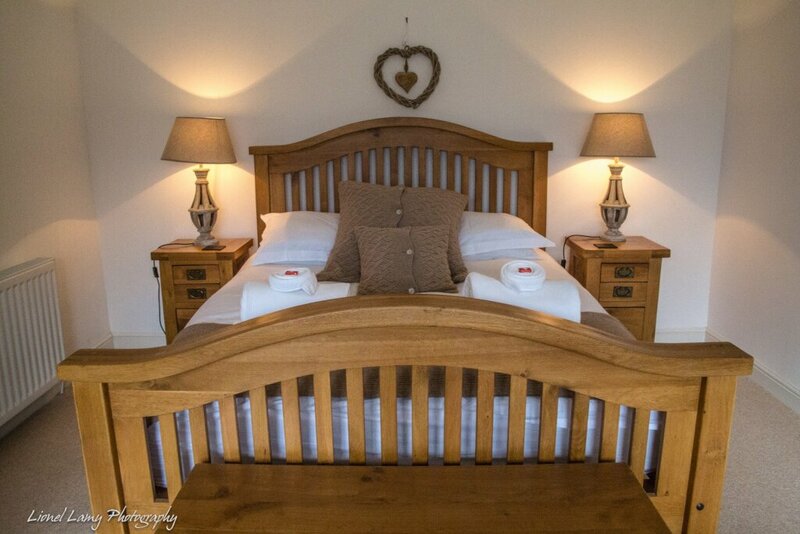 My husband and I stayed at the Oak Cottage for 3 nights in September and we had a fantastic time. 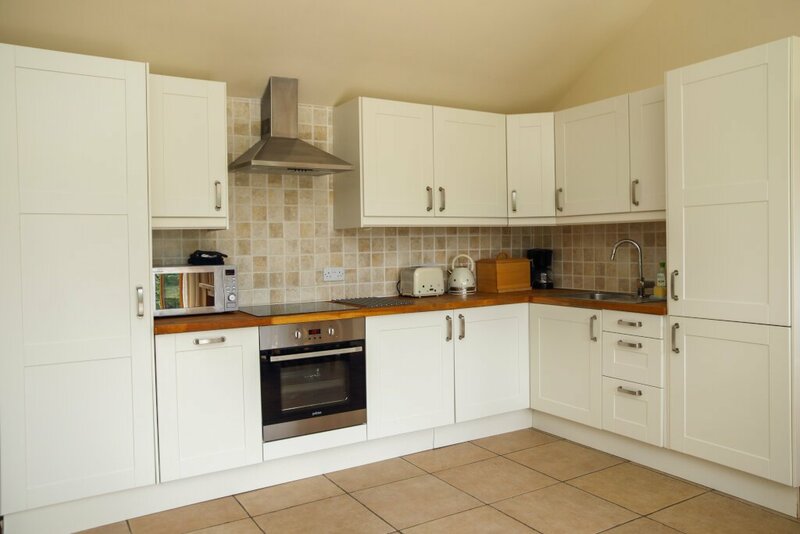 The cottage is clean, modern and tastefully decorated with plenty of space for a family. 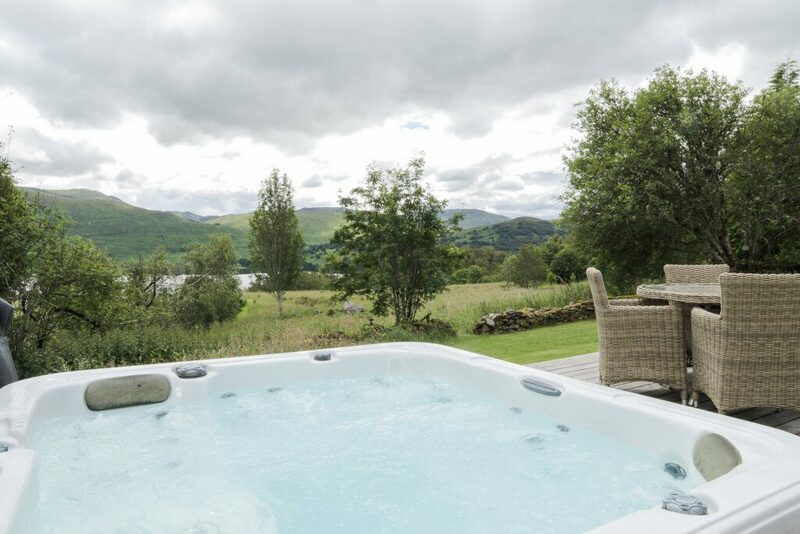 The view is amazing and the surroundings are peaceful which makes it the ideal getaway to escape city life. Our highlight of the weekend was sitting in the hot tub at night gazing at the stars. We also had a fantastic meal at the Bridge of Lochay hotel which is just a short drive away. Thanks again Nina, we will definitely be returning. 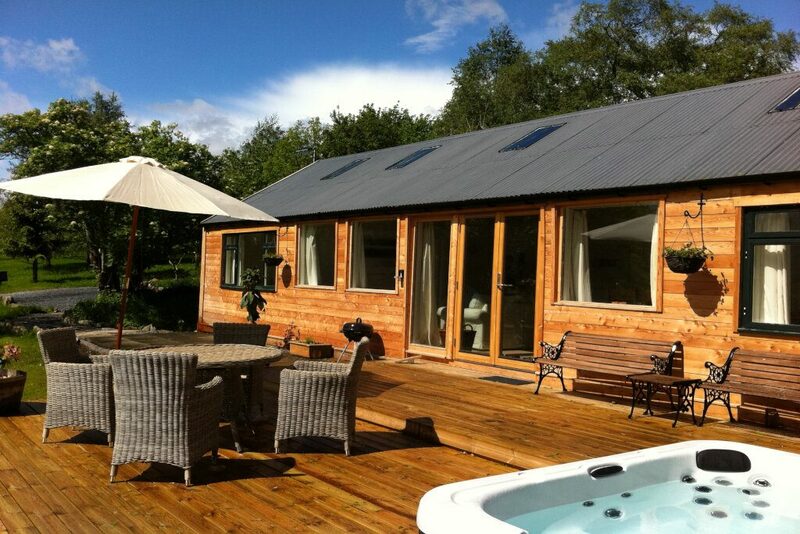 Our stay at the Oak Cottage was amazing. The views are to die for. The walk to the lake through the meadow and then the woodland area is magical. Having a hot tub was an extra bonus and provided an excuse for a family get together, even at the night time when watching the moon. It was great to meet Nina who was very helpful.